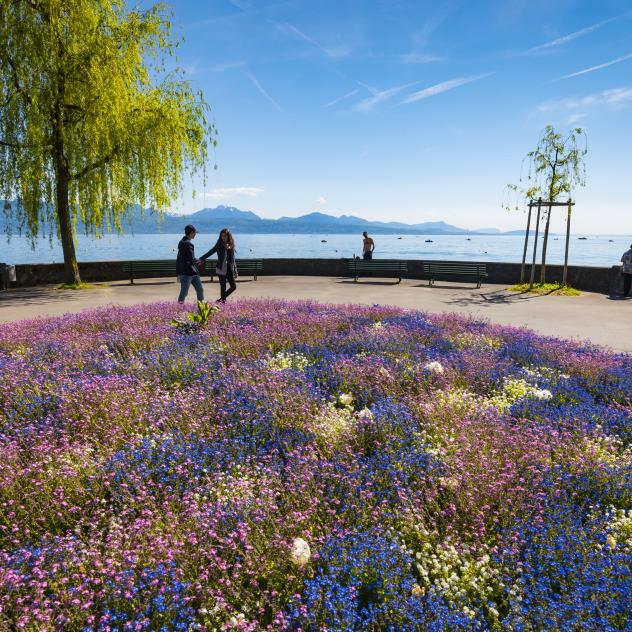 Along the shores of Lake Geneva, gardens often extend to the water's edge and rarely leave enough room to allow for foot traffic. But there are some notable exceptions. 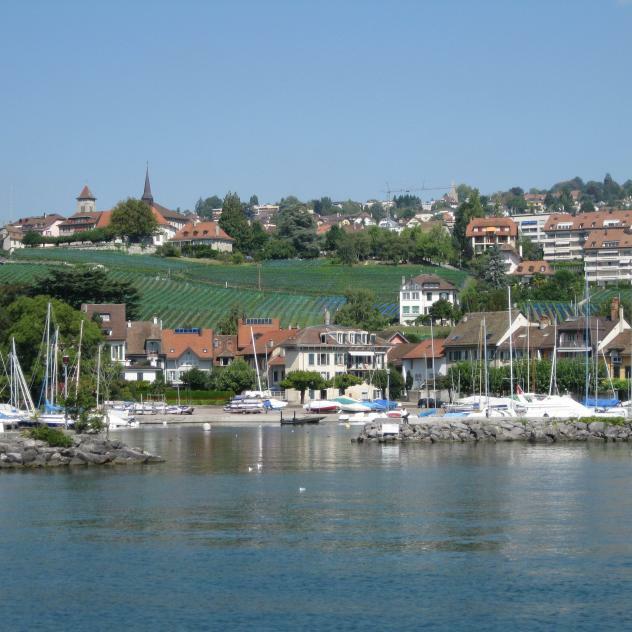 Between Lutry and Morges, for example, a trail winds its way between lakeshore and manicured gardens, along undeveloped beaches and lakeside paths for over 15 km. Inhabited for 8'000 years, these shores bear witness to human activity through the ages: from the necropoles of Vidy and Chamblandes (4'500 B.C.) to the menhirs of Lutry (3'000 B.C. ), from the site of Roman Lousonna to the Romanesque church of St-Sulpice, from the Château and Quai d'Ouchy to the campus of the University of Lausanne and the Federal Institute of Technology (EPFL). Despite a long history of human settlement, the lakeshore has managed to preserve some of its wilderness and provides a winter haven for numerous migrating birds. In fact, the community of Préverenges is an ornithological site of European importance. But the lakeshore also features man-made improvements such as the treelined lakeside walk of Ouchy and the reclaimed grounds of the Vidy recreation area, site of the 1964 National Exposition. Lake Geneva continues to be the main source of drinking water for the entire region as evidenced by pumping stations and wastewater treatment plants visible along the way. The lake is also a veritable waterway with steamers, barges and fishing boats calling on the port of Ouchy and other destinations. Why not take your time to explore the magnificent lakeshore scenery in any season or weather and without ever losing sight of the lake.